We take a look at the world wide web’s best luxury websites to deliver you luxury website design inspiration, helping you take your brand to the next level. Having scoured the internet, we’ve collated a list of our favourite luxury websites. From luxury eCommerce, to high end designers, these are the websites that deliver not only a service, but an experience. 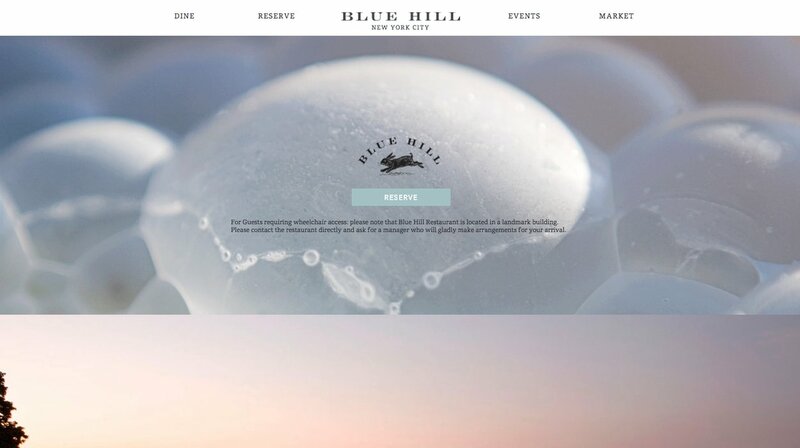 Bathing in their uniqueness, these website designs give you an insight into how these luxury brands deliver their products, find inspiration and value themselves. If you feel there are any luxury websites that we have missed, get in touch! Founded in 1879 in Cantù, Italy, the Tagliabue family originally designed bespoke furniture and multilayer panels for the aeronautics industry. However, since the 1980s they have taken on the form of Emmemobili, developing a name for creating works of innovative design and international acclaim. The screenshot above is taken from their Inspirations collection, found rather wonderfully at the extension /ambient/. A touch that meant they had to make the list. Lampe Gras have made this list for two words: brand consistency. 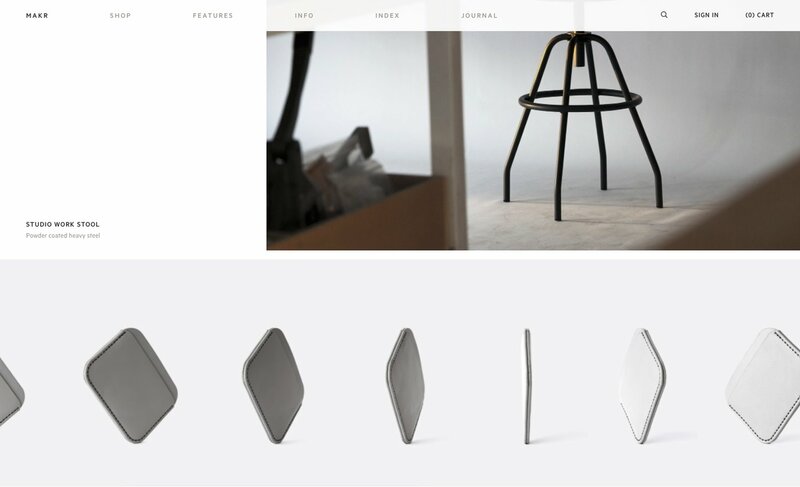 Not only are their products instantly identifiable (what with their geometric designs), but so is their website. Following the same aesthetic as in their logo, the website is made of clean, black lines. Easily navigable and wholly in keeping with their individual look. The filters on the right hand side of their products page also allows the user to narrow down the products displayed at the simple click of a button. The imagery is on point – as you would expect. But what sets Moncler apart a little here is the funnelling. 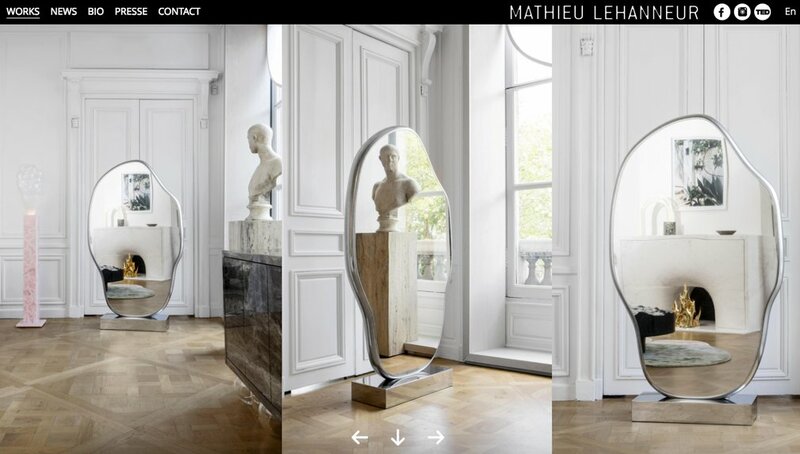 When you land on their homepage you are greeted by their latest ‘inspirations’ – alluring to say the least. Scrolling down, the page is filtered with simple calls-to-action matched with quality imagery, pulling the user deeper into the website. Now this is how you do eCommerce photography. Makr manage to convey all the finer details of the products they sell. Plus they mix it up perfectly, using differently proportioned images, moving carousels, animated gifs. 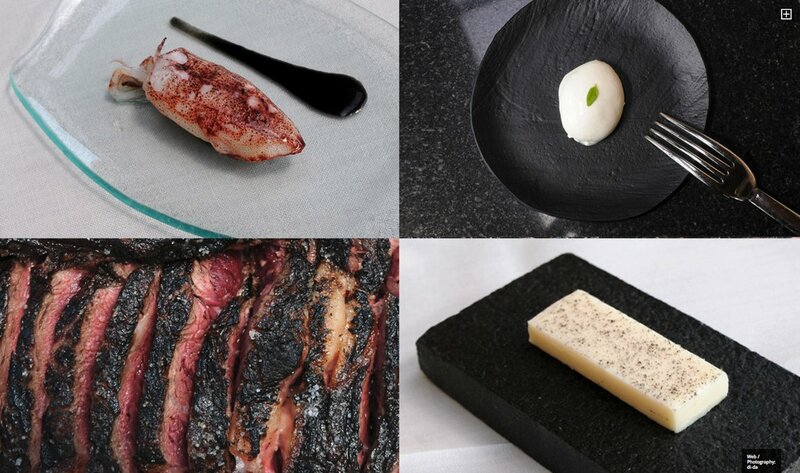 There’s a LOT to love about the Byredo website. From the asymmetrical product layout à la Michael Anastassiades, to the industrial vibe carried throughout. Above the image is the first you’re greeted by when you land on the homepage, the branding painted across the neck like one of their perfumes. The sensuality of leather (they also design and sell leather products) is introduced further down the page, stirring your senses and stroking those serotonin receptors. Clear, innovative, tongue-in-cheek, every pols potten product shows its Dutch roots. This is perfectly evidenced in their landing page and the shocking, sheer, eye grabbing pink that indulges your senses. On their site we can see how product pages can be non-conforming. Founded in 1993, Taylor Howes is a London-based luxury interior design agency that has built up a blue chip reputation for creating interiors of distinction. And their website certainly shows this. The gold and purple of their branding ubiquitous throughout their website, the spotlight is given to the quality images of their design projects. In the process they do lose captions overlaying the image, and navigation suffers. But then again, with such beautiful photos, I am not sure that really matters. 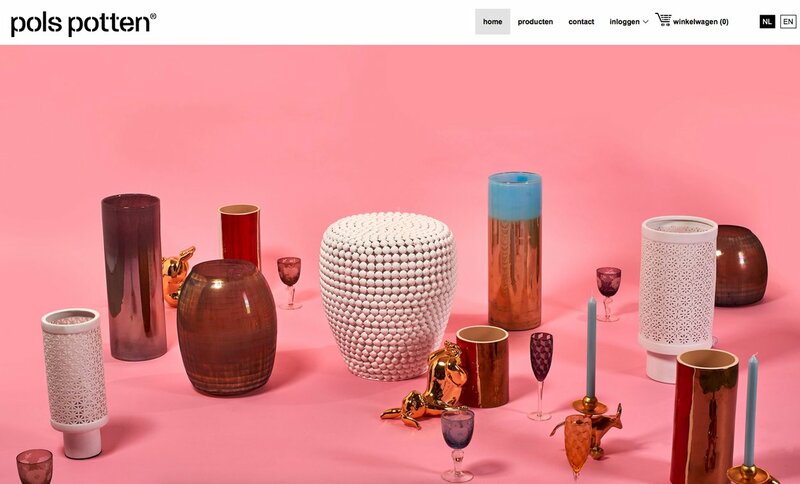 When it comes to the best luxury websites, Art of Bespoke surely needs to be up there. 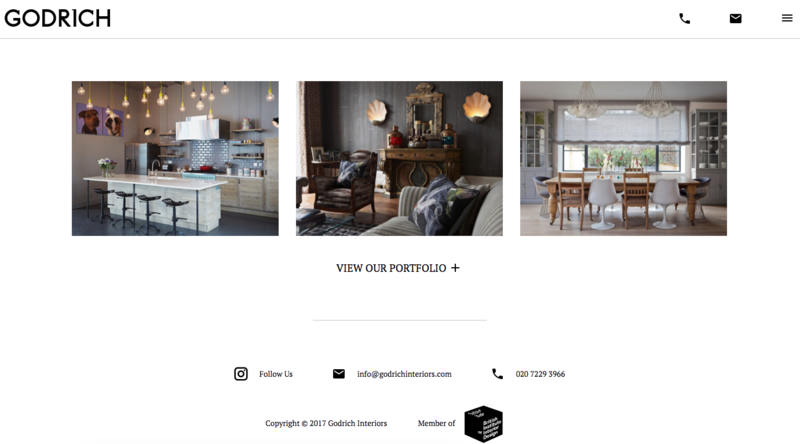 An online portal for luxury interiors and product designers to showcase their work, as well as a magazine full of enriching content, it’s earned its place. However, there’s a lot more being the scenes that have made this website a dead set. 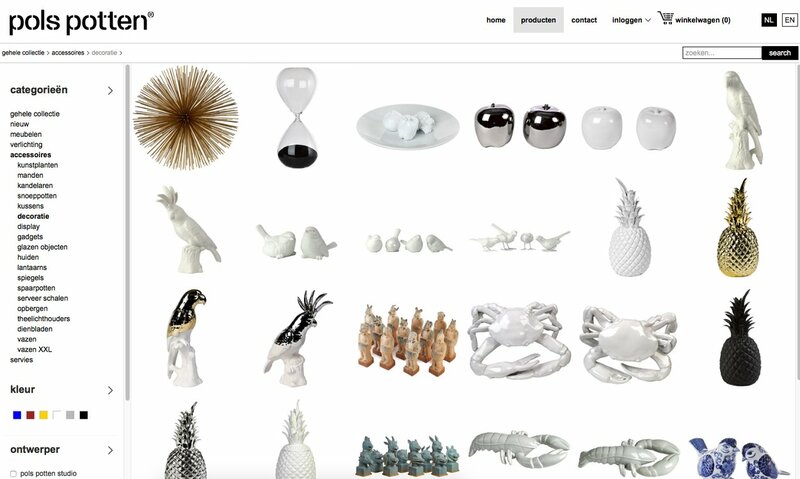 In the screenshot above you can see that products are automatically tagged in interior designers images, allowing the user to find the product they like from the photo. The robust engine also allows users to search the site by things like colour and room type, also enhanced for SEO searches. Pretty cool. Luxury design is all about statements. How better to emphasise this than by taking a full page to make a statement like this? “This is our nordic tradition and heritage. 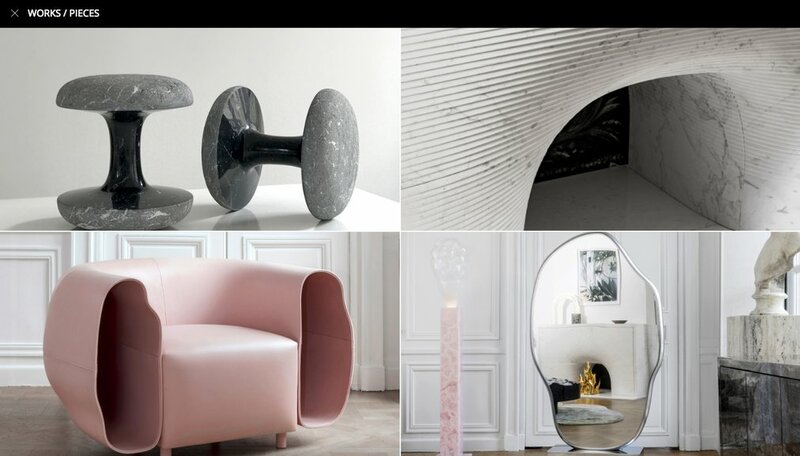 &tradition aims to bridge these values to contemporary design, reshaping, redefining and reinventing materials, techniques and forms. 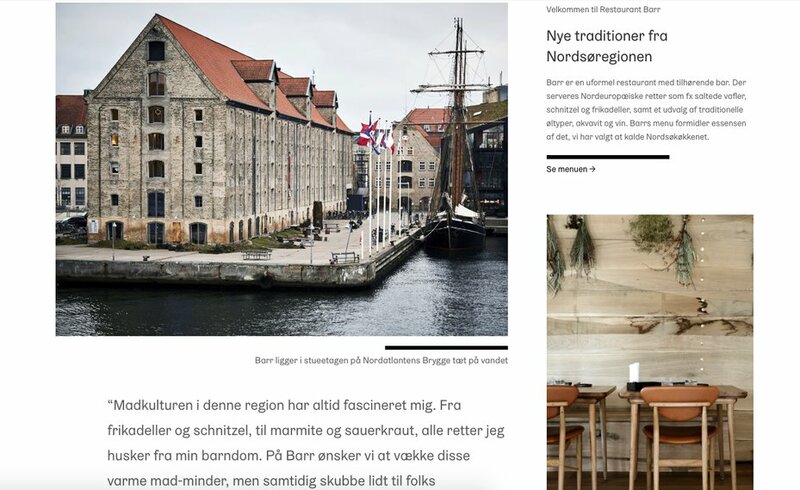 We can see the real influence of Nordic design in their luxury website. The pared back aesthetic. Clean, clear, simple. A minimal look with rich photography highlighted by the stark white background. Back in 2001 the Finn Juhl collection was given permission to relaunch the design icon’s furniture range from Juhl’s widow Hanne Wilhelm Hansen. Fast-forward to today and the collection now consists of over 40 classic masterpieces. All designed and manufactured to show the utmost respect for the originals. 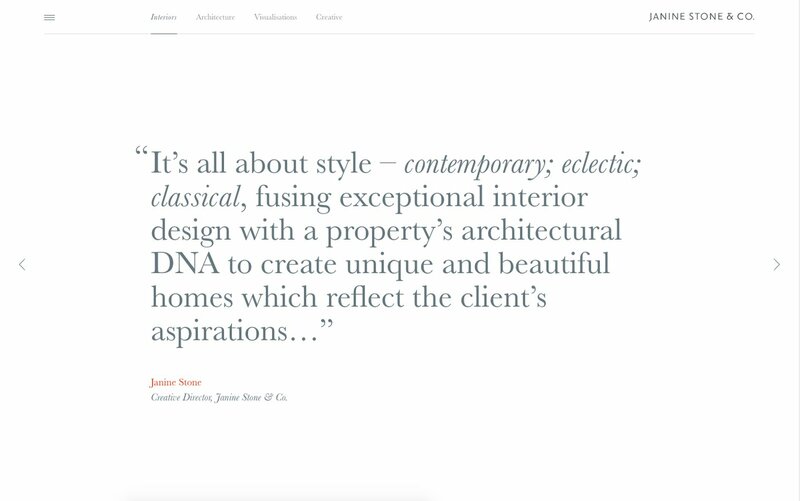 And whilst their website does a huge service to the works of Juhl, it’s the ‘about’ page that really caught my attention. Telling the story of the designer, and then the development of the modern collection, the aesthetic is fittingly sepic and there are some nice animations that add a touch to the progression of the narrative. All interwoven with historical images. Well worth checking out. High Italian craftsmanship is the mantra of design house Ivano Redaelli. Establishing a name for themselves in the years following the Second World War for manufacturing hand embroidered linen collection, they now offer so much more. Today they deliver real and exclusive interior design concepts, the result of continuous research aimed to exalt the quality of Italian design. What their website offers is a journal. Handwritten entries into the annals of time, featuring their projects and their philosophies. Aside from the incredible photography that marks their individual style, Ivano Redaelli aren’t afraid of white space. Something I happily encourage with luxury website design. And the addition of the ‘Contact Personal Shopper’ button is smart. Even if it is a simple ‘mailto:’ link. We see the asymmetrical form carried through into the way that the product page is laid out. 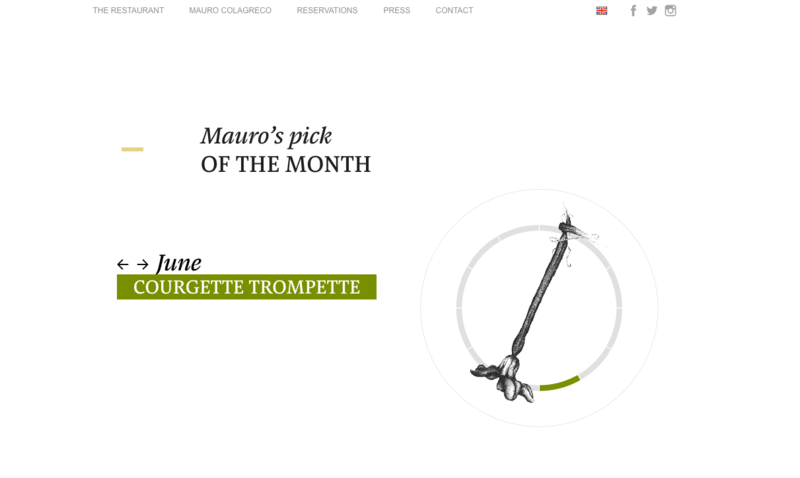 A nice twist on the traditional, boxed layouts that you find on most luxury eCommerce websites. When people buy luxury they want to buy a story. It’s not just the product. Therefore these ‘about us’ pages need to convey a message that tells your clients why they should buy into your brand. Mikimoto are a high end Japanese luxury jewellery design company. Aside from the fact that they beautifully convey the heritage of their brand into their website design (as seen above), they’re doing something else excellently too. As we reported on recently, brand spend is moving over to luxury video campaigns, which Mikimoto are perfectly incorporating into their homepage too. These videos play in a light box and give a three dimensional perspective on their brand and products. Scrolling down, you’re washed into different seas. The images not only carry through the brand’s association with the beauty of blue seas, but also as an easy-to-use navigation through to the site’s categories. Selling a luxury break is all about selling the experience. You can do this by using sumptuous imagery that gets the pulse racing, but White Line Hotels approach this in a slightly different way. 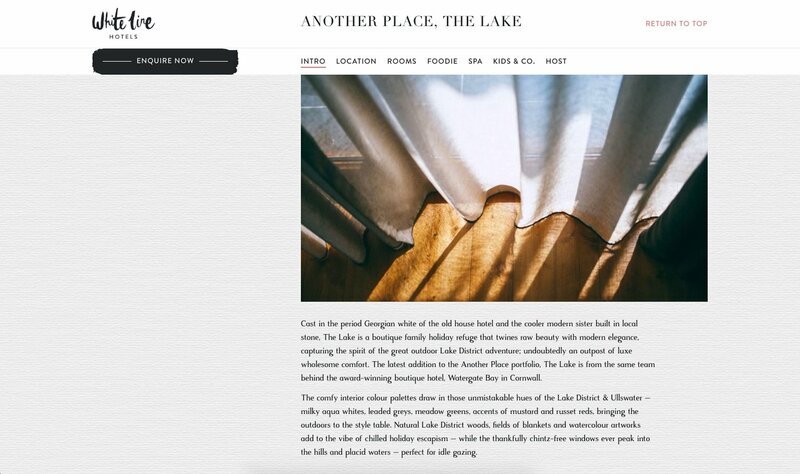 By weaving a narrative throughout their hotel pages, interspersed with imagery, they are casting a dream in your mind. 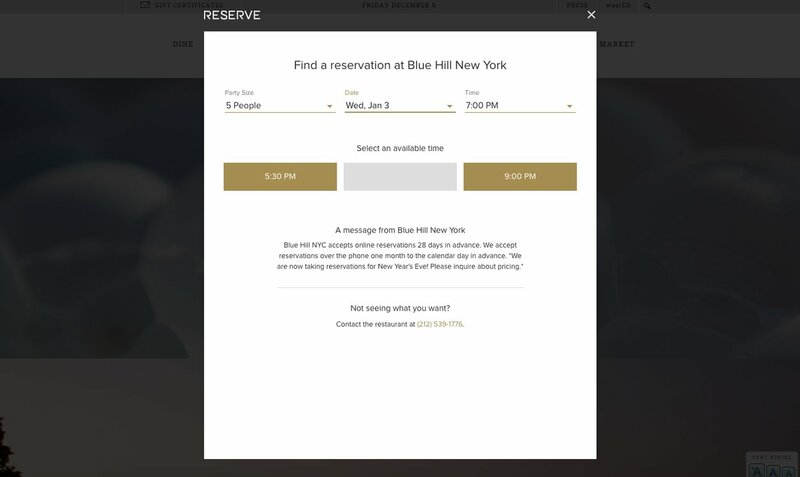 What Blue Hill Farm have done well is creating a simple, user-friendly reservation section on their site. No need to complicate matters. 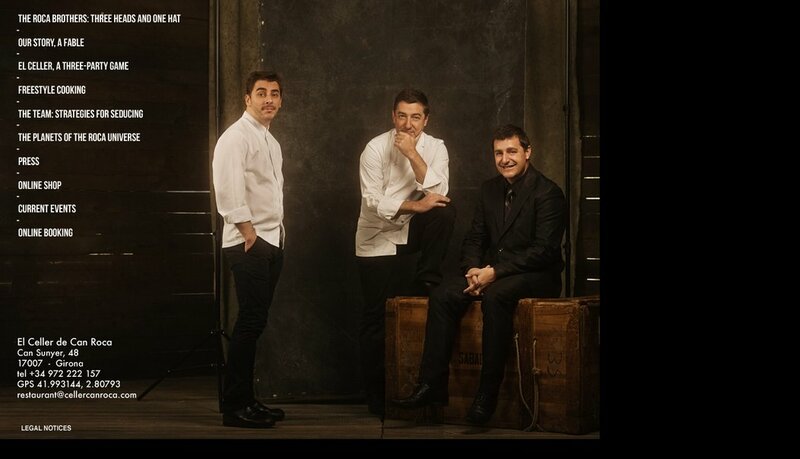 El Celler de Can Roca is one of the finest restaurants in the world. 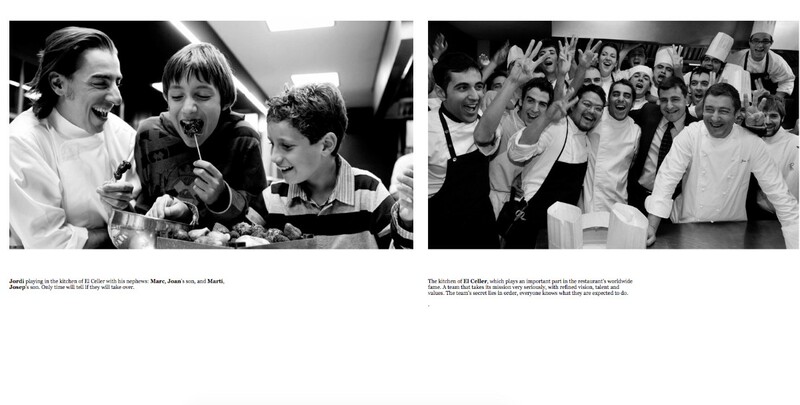 Famed for their experimental approach to Spanish cuisine, and themes of nostalgia, their cuisine and their reputation is built on the strength of the relationship of the three brothers, Joan, Josep and Jordi. 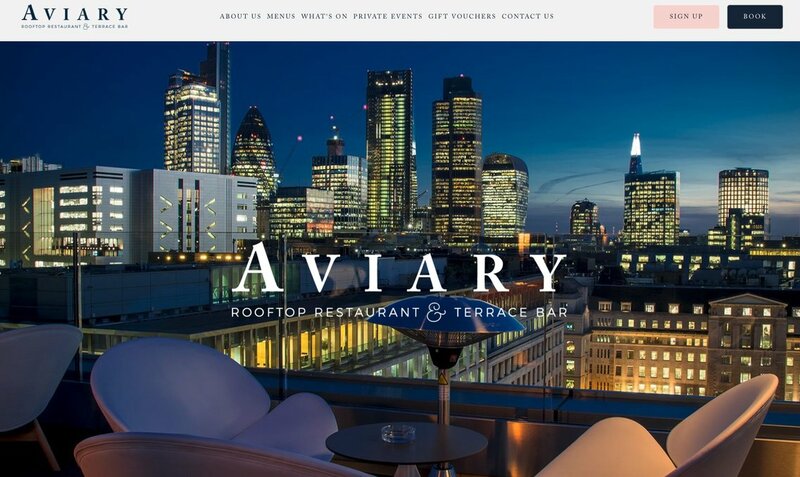 Another example of how to frame a picture perfectly; landing on this homepage you are shown precisely what you need to see about Aviary. 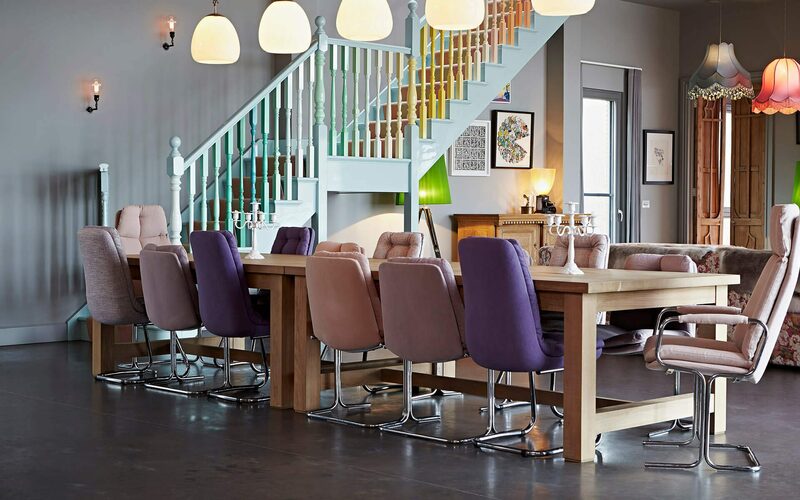 A laid back environment in the heart of London’s City district, it’s a place to relax and unwind after work and in the comfort of good company. Nestled deep in the Atxondo valley, at the foothills of the magical Mt. 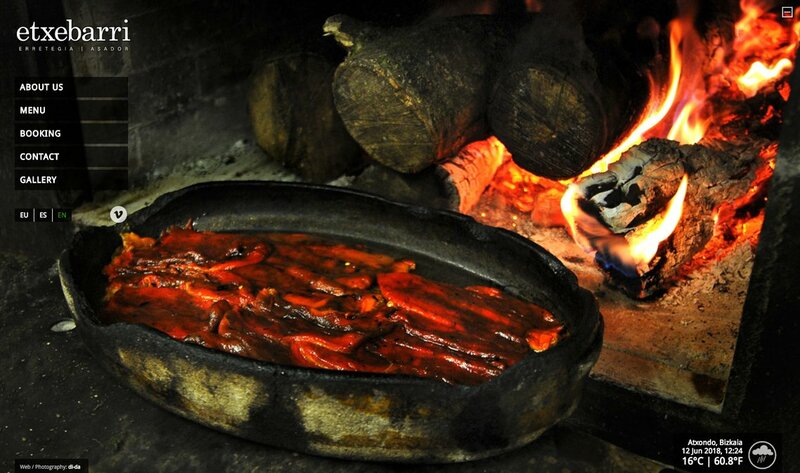 Anboto, Extebarri specialise in the grilling of food over wood fires. Carefully selecting firewood from different trees to work in harmony with their local produce, each dish is distinguished and distinct. The ingredients they cook depend upon what’s available at that time of year, but more importantly; what’s good – what they want to cook with. Earth, ocean or fire. The decision is made each day, based upon which seasonal products are most freshly available. 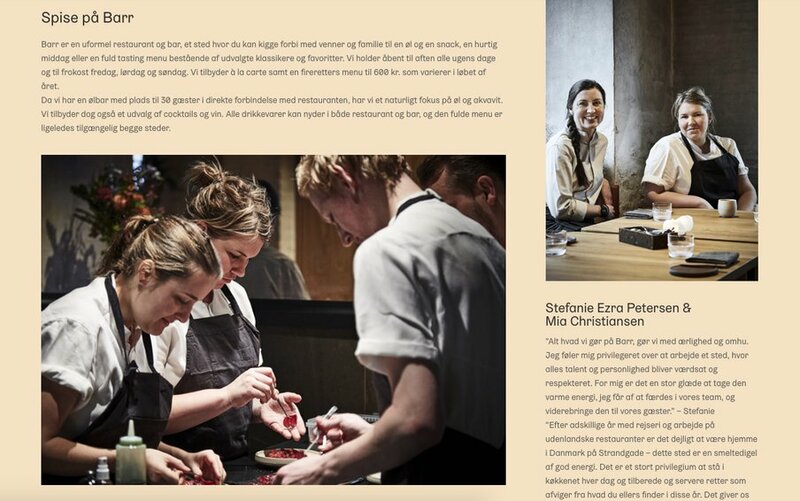 The result is a home-grown menu, beating in time with nature’s rhythm, humbly served and carefully and consistently put together with respect and a delicate touch. A neat little tap of the button in the top right hides the content and lets the images take centre stage. At the foot of the mountains overlooking the sea, a stone’s throw from Italian border post, the Mirazur is set in a 1930s rotunda. 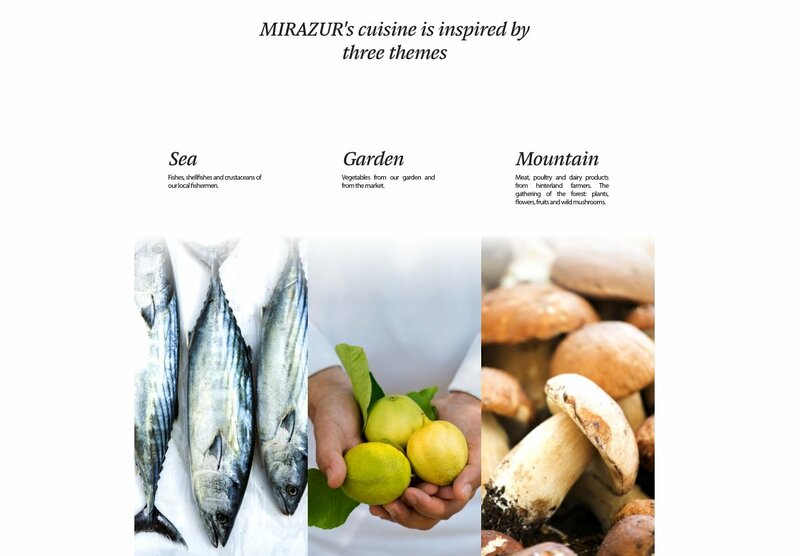 Spread over three levels, it’s ensconced in lush vegetation that finds itself forming part of the Mirazur’s menu. 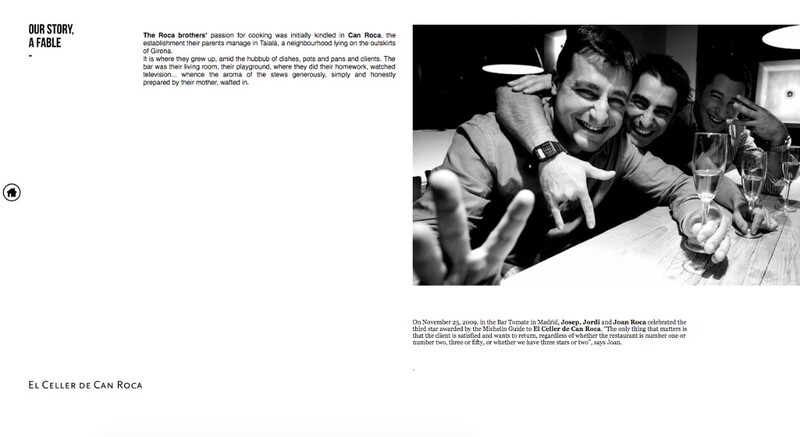 The website itself is neat, sweet and a proper reflection of the restaurant’s sentiments. Barr is the perfect place to drop in with your friends and family for a drink accompanied by something delicious to eat. 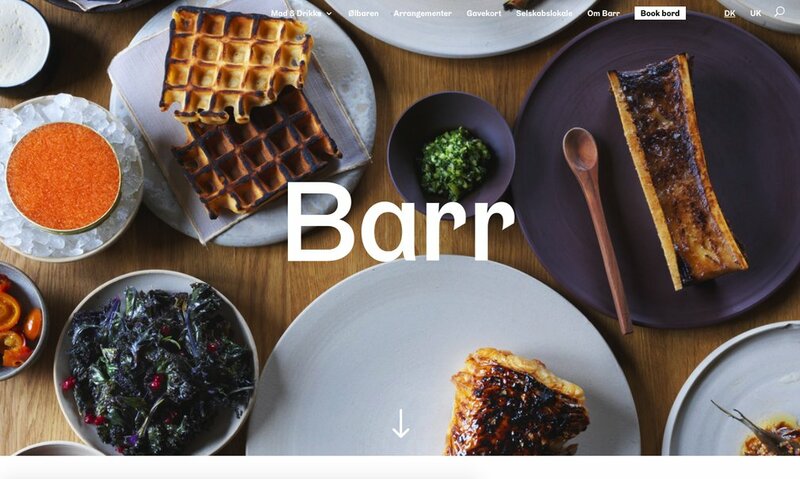 And their website perfectly portrays their laid-back attitude and certainly gets your tastebuds going. Design elements are carried over with subtle twists to differentiate segments of the site. This is how to make a statement. Known for their refined palette of muted shapes and sleek shapes, Helmut Lang carry their new wave of tones, textures and titillation across to their website in a big way. You land on this page and this image tells you everything you need to know about the style of design, and the attitude of the clothing. 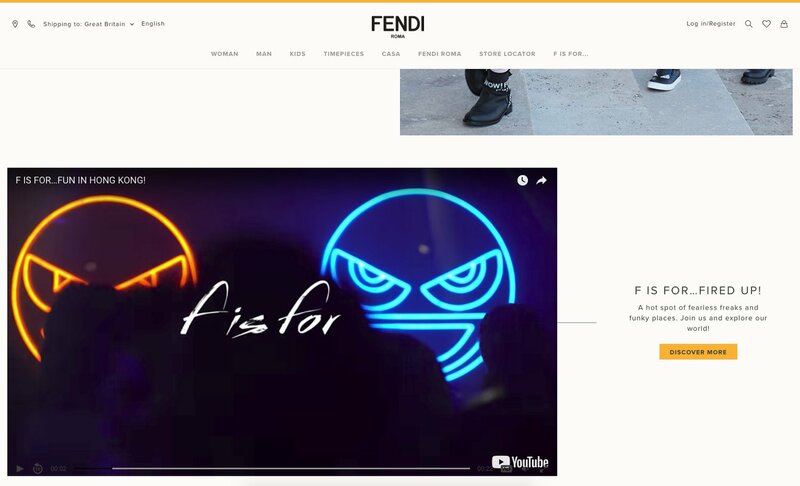 Fendi is an Italian luxury fashion house who specialise in fur, leather, fragrances, eyewear, timepieces. Everything. Founded in 1925 in Rome they’ve established themselves as one of the leading luxury fashion brands on the planet, and for a company founded at the start of the 20th century, their website game is on point. The reason? Video. More and more, digital is moving towards video due to better infrastructure, though luxury brands have been left behind. They could certainly do without the dance music, though. 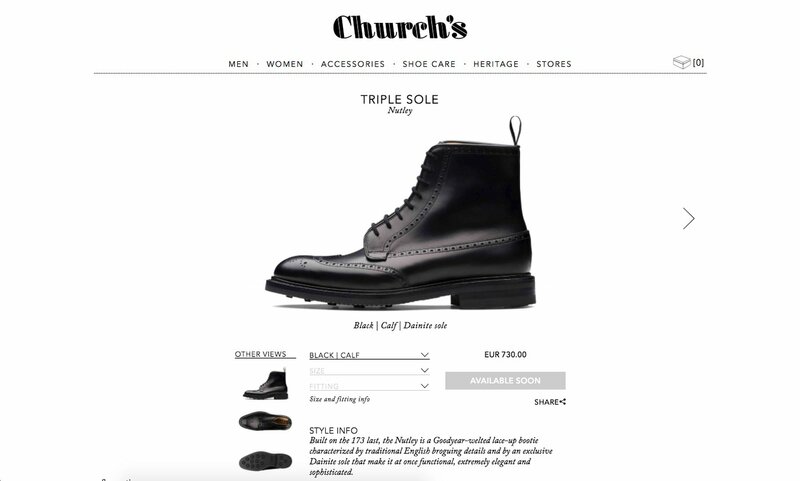 Established in the 1800’s, Church’s are a fashion brand with an illustrious, well-trodden history. Bestowed with the prestigious Queen’s Award to Industry for excelling in exports Church’s recognition as a distinguished name in the international footwear industry is next to none. Throughout their luxury website, imagery is bold, and beautiful. On their product pages, the shoes take centre stage. A large, centred image draws the user’s attention and affixes them where they ought to be: on the product. Now it may not look like much from this screenshot, but the McClaren F1 website does something that we’ve been stressing to all luxury design companies we’ve worked with. You need to carry the sense of your brand over to your web platform, and McClaren do this perfectly here. Each element on the page loads smoothly, dynamically, as if it were an engine deftly constructed by faultless robots. You have to see it up close. 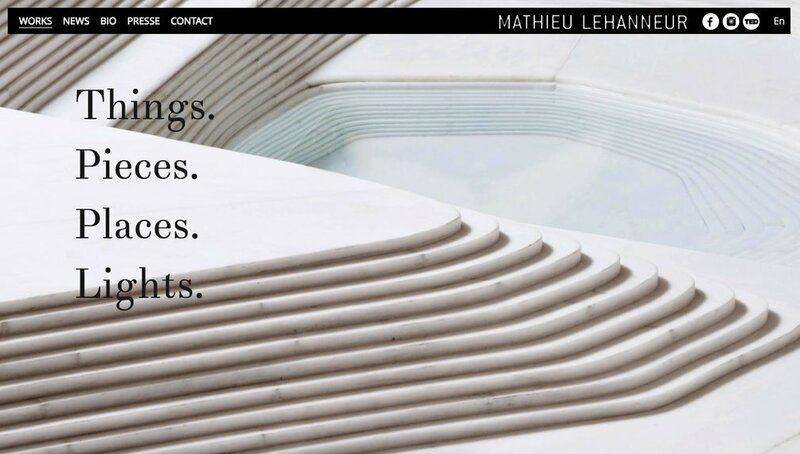 The homepage of fragrance creators Le Labo features a box to find your country and filter you through to the correct website. However, if you so choose, you have a 5 minute and 35 second snapshot of their perfume creation to watch too. Shot in subtle darkness you get a snapshot into their production process, and an idea of what goes into making the products you’re about to purchase. This certainly delivers on the experience aspect of their web presence. 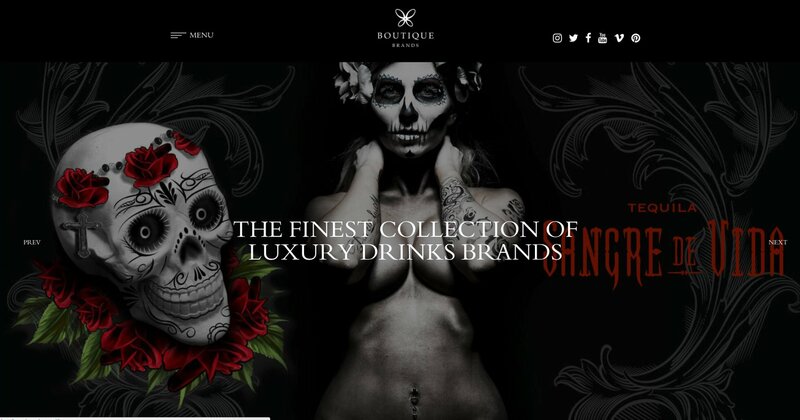 A purveyor of luxury drinks, Boutique Brands is a website that knows how to use sensuous imagery to perfection. 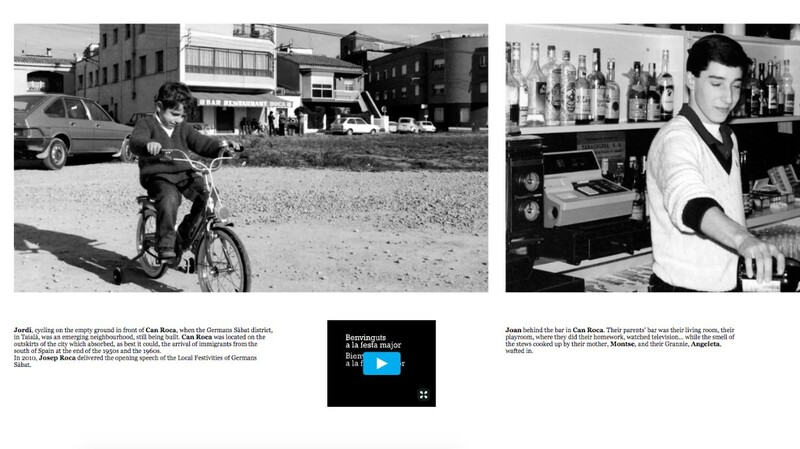 Evoking the flavours and feelings of the drinks brands that they represent, the website feels like a stiff Tom Collins in a backlit, blacktopped bar. World renowned for their bold brand, here the homepage of MAC Cosmetics is a celebration of beauty. A sensuous deluge of colour, this is design that gets you excited about the products and eager to see more. Diversity and individuality, two tenets of their brand, are very much on show here. This won’t be to everyone’s taste. And they’re compromising slightly on functionality here (those links are barely visible). But for their ‘Winston Garden’ collection, the diamond specialists Harry Winston create something that you can smell, taste and touch with excitement. A welcoming, fragrant garden that you want to enter. Some might say gaudy. Others won’t. Either way, it’s made my list and that’s for the way Sphere have laid out their articles and homepage navigation. Starting with a half-screen banner and latest articles selection, each category has its own homepage section to help users navigate their way through the website. Neatly laid out. Interspersed with CTAs and advertisements. This is finely crafted UX. I especially like the way that adverts seamlessly fit in with actual website content. What I admire about the Tatler website is that they have really managed to carry their brand identity over to digital. This is deftly achieved through the use of icons on the homepage, as well as well considered feature imagery throughout. I also have to give credit to their headline writers who did a pretty good job of making me click through their articles – against my better judgement. Luxury London is a website for refined tastes. Delivering articles based on luxury lifestyle, they focus on holidays, entertainment, products, culture, house and wellbeing. Their tagline: A website. A mindset. A lifestyle. What I think they’ve excelled at here is the layout of their article page. 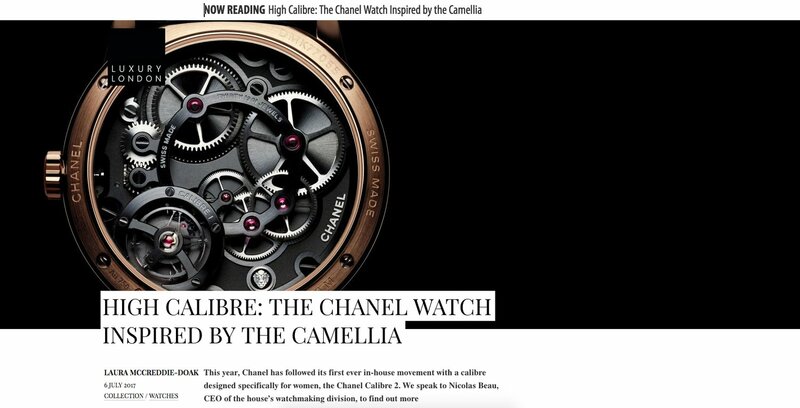 With their branding and logo ever present, but unobtrusive as you scroll through the content, their header image oozes luxury, their content clean and easy to read, interspersed with pictures. A progress bar neatly tells you how far you are through the article. 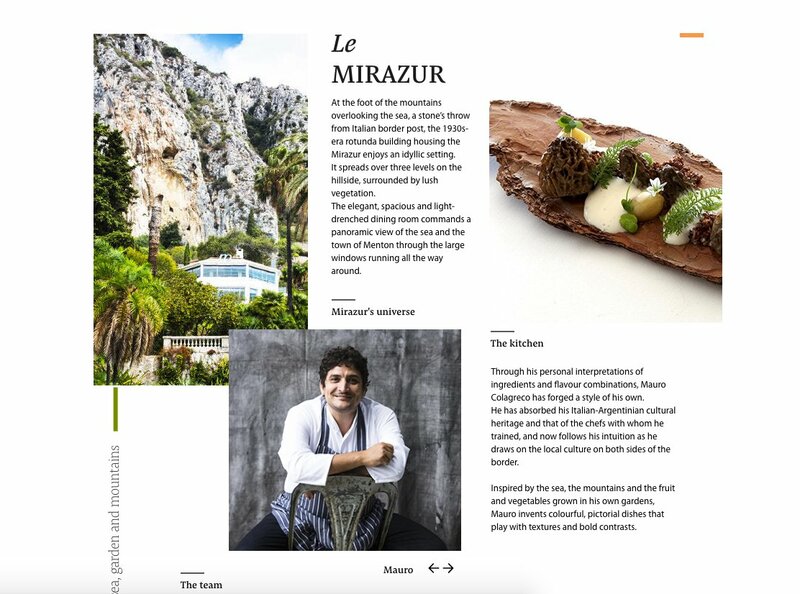 Every day, Lusso’s hardened cadre of luxury-lifestyle chroniclers bring you their honest thoughts and feelings about the best things in life that are very much far from free.